This is Nick. 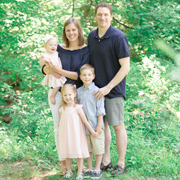 (Since my wonderful wife writes 99% of our blog posts, I felt the need to state that up front.) This recipe is a special request from my classmate, Vanessa, who is looking for a non-traditional cornbread to make with her boyfriend for Thanksgiving this year. I made this cornbread last week to accompany Emily’s hearty chili. It’s not dry or crumbly like most cornbreads I’ve had. 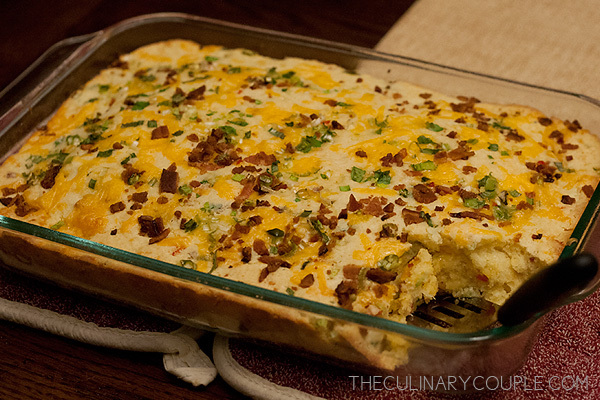 And it’s very flavorful thanks to bacon, jalapenos, and cheese. Enjoy! Any other recipe requests out there? Combine the flour, cornmeal, sugar, baking powder, and salt in a mixing bowl. In a separate bowl, lightly whisk the milk, eggs, and butter. With a wooden spoon, stir the wet ingredients into the dry until most of the lumps have dissolved. 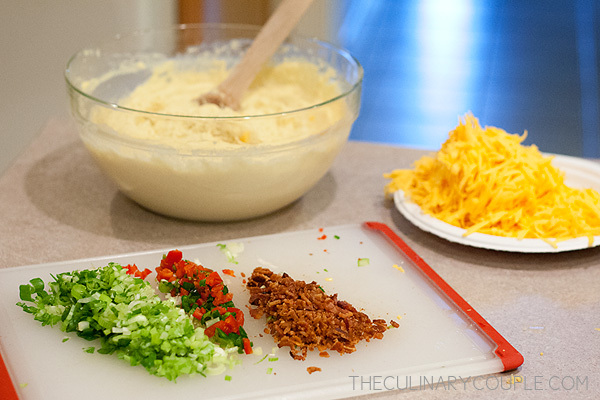 Add the grated cheddar cheese, scallions, bacon, and jalapenos. 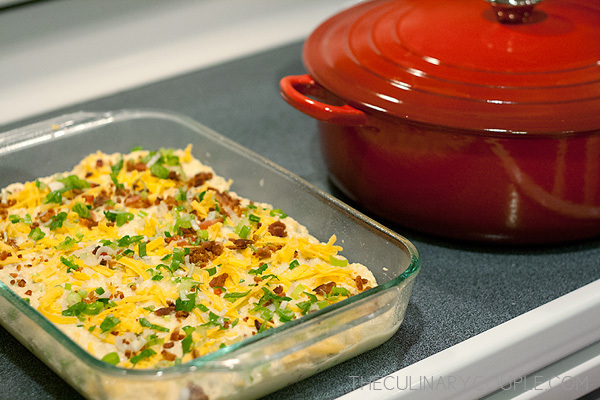 (Reserve a little of the cheese, scallions, and bacon to sprinkle on top later.) Let the mixture sit at room temperature for 20 minutes. Meanwhile, preheat the oven to 350°F. Grease a 9 x 13 casserole dish. 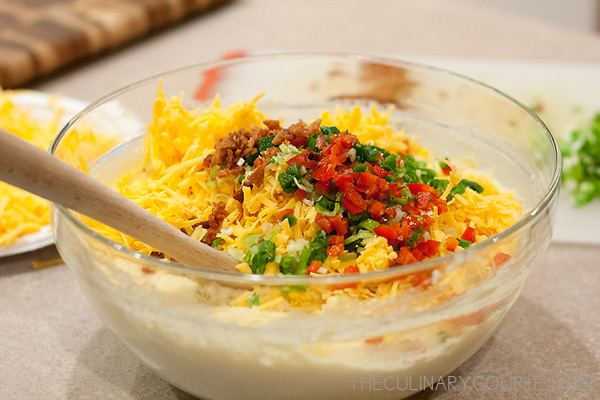 Pour the batter into the greased dish, smooth the top, and sprinkle with the remaining cheese, scallions, and bacon. Bake for 30 to 35 minutes, or until a toothpick comes out clean. Cool and cut into large squares. Serve warm or at room temperature. Ooh! I do jalapenos, but bacon would definitely make it better. this looks DIVINE! 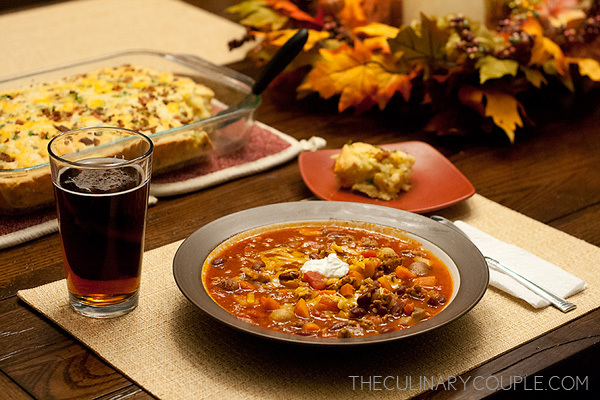 I bet it would be awesome with some white turkey chili! YUM!!! !